Nearly 30 puppies have been rescued near Larne Port following a tip-off from a member of the public. Mid and East Antrim Borough Council, who have been working with DAERA to stop the illegal movement of dogs at NI ports, said that 28 puppies were recovered from a pick-up truck on a roadside near the port. 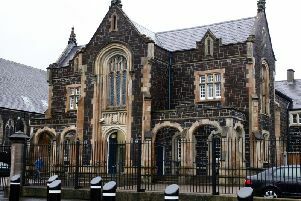 The Cockapoos and Cocker Spaniel pups were taken into council’s care after PSNI stopped the vehicle following a tip-off by a member of the public. It comes just weeks after another operation rescued 17 pups in the lead-up to Christmas. Patricia Allen, head of council’s Public Protection, Health and Wellbeing, said: “We’ve been working closely with statutory organisations in recent months and it’s great to see that with this level of collaboration, almost 40 pups have been recovered.